Macedonia’s chief opposition leader was charged by police on Saturday (31 January) with conspiring with a foreign intelligence service to topple the government. Zoran Zaev, leader of the Social Democrats, denied the charges, saying authorities were trying in vain to prevent the publication of what he says is incendiary evidence of criminal wrongdoing by the conservative government of Prime Minister Nikola Gruevski. Gruevski, in power since mid-2006, accused Zaev of trying to blackmail him to call a snap election during face-to-face talks in September and November, saying Zaev claimed he had gathered intelligence against the government with the help of a foreign spy service. “I watched and listened to the head of the opposition … informing me that he is collaborating with a foreign intelligence service,” Gruevski said. Macedonia’s state prosecutor confirmed that police had submitted criminal charges against four people, including a former head of state intelligence and his wife. All except Zaev were in custody. Local media reported that Zaev had turned in his passport. Zaev’s Social Democrats have been boycotting parliament for almost a year since alleging fraud in the last parliamentary election. Zaev’s potential imprisonment would further deepen political divisions and may heighten concern in the West over a perceived authoritarian streak in Gruevski’s rule. Macedonia, a landlocked Balkan country of 2 million people, wants to join NATO and the European Union, but progress has been stalled by a dispute with neighboring Greece over Macedonia’s name (see background). The country narrowly avoided civil war in 2001 in clashes between government forces and ethnic Albanian guerrillas. Ethnic Albanians make up at least 25 percent of the population, and a party of former guerrillas shares power with Gruevski. 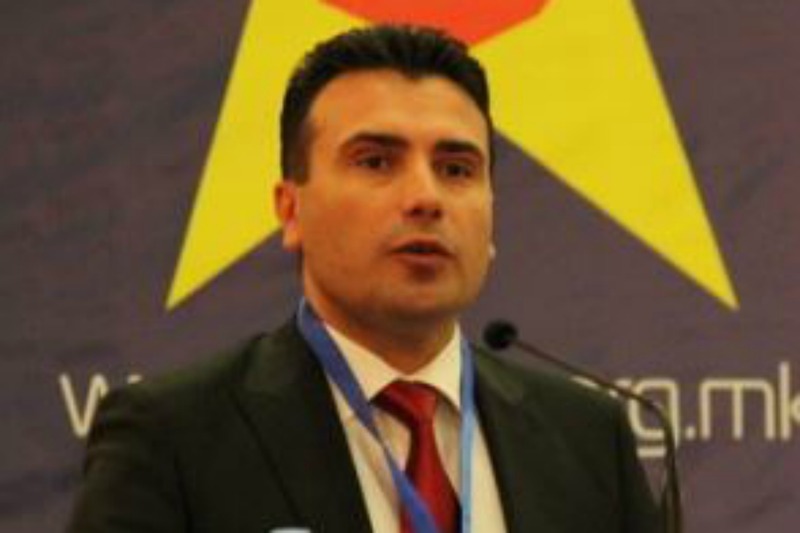 For months, Zaev has been threatening to publish what he says is evidence of criminal wrongdoing by the government, including accusations he said could harm ethnic relations in Macedonia. “Even if they arrest Zaev, they will not succeed in stopping the publication of the evidence we have,” Zaev was quoted as telling the Internet portal of Macedonian weekly Fokus. Interior Ministry spokesman Ivo Kotevski said the plot amounted to an attempted putsch. The Russian Foreign Ministry issued a statement Sunday calling for a detailed investigation into the alleged coup attempt in Macedonia. "We hope that a thorough investigation of the incident is conducted in order to ensure stability and security in Macedonia," a statement published on the Ministry's website on Sunday noted. "We call on all political forces in the country to act within the constitutional framework of democratic institutions in order to resolve problems through dialogue," the Ministry added. "The aggravation of the situation in friendly Macedonia may result in the danger of exacerbating existing ethnic tensions." Ministry of Foreign Affairs of Russia: ??????????? ???????????? ?????????? ? ?????? ??? ?????? ? ????? ? ???????? ???????????????? ?????????? ? ???????? ?